Can you believe Thanksgiving will be here in 11 days! Nope! I can’t either. I hope you enjoyed my tips, tricks, and recipes for helping get Thanksgiving dinner on the table (and more importantly in the bellies of hungry guests). 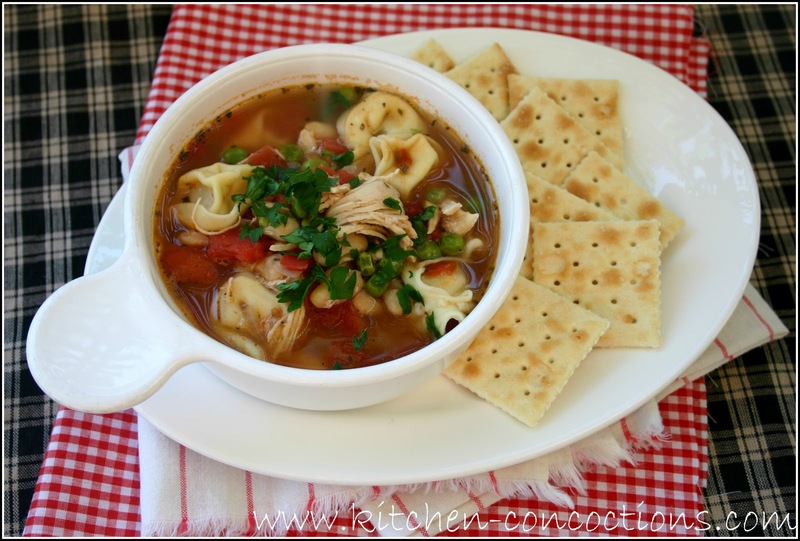 Below are all the recipes I featured this week and check out the bottom of this post for a sample Thanksgiving menu! 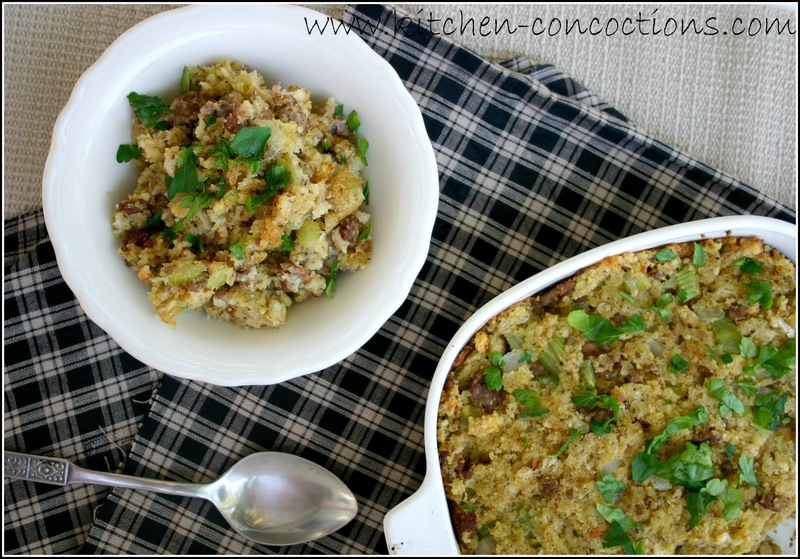 Easy Sausage Stuffing: This stuffing was so flavorful that you would never know it used a boxed stuffing mix. Plus check out this post for tips on hosting Thanksgiving on a budget. 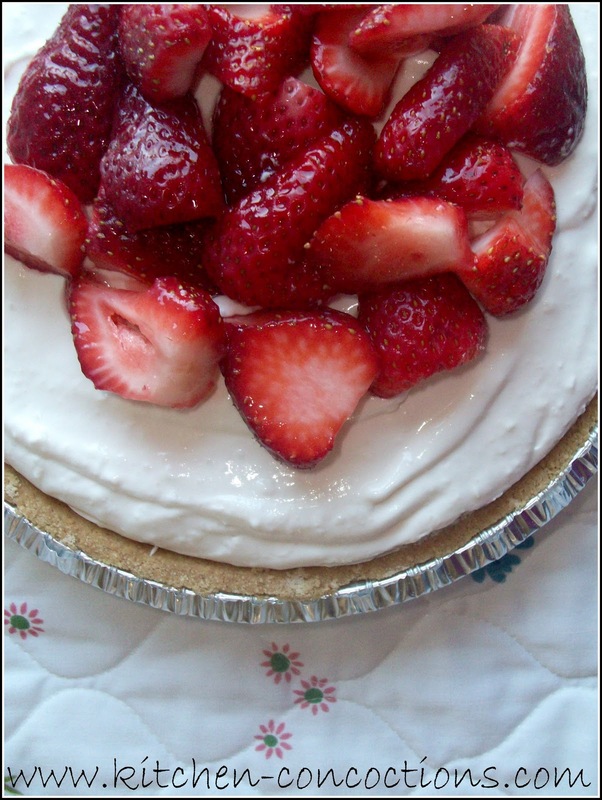 No-Bake Cheesecake: Easy. Simple. Classic. And without a doubt a great dessert that will be devoured at any Thanksgiving feast! Sweet and Savory Smashed Potatoes: Not a fan of the uber sweet, traditional sweet potato casserole, loaded with marshmallows and sugar? Well make this version. Loaded with bacon, a few onions and a hint of maple syrup! 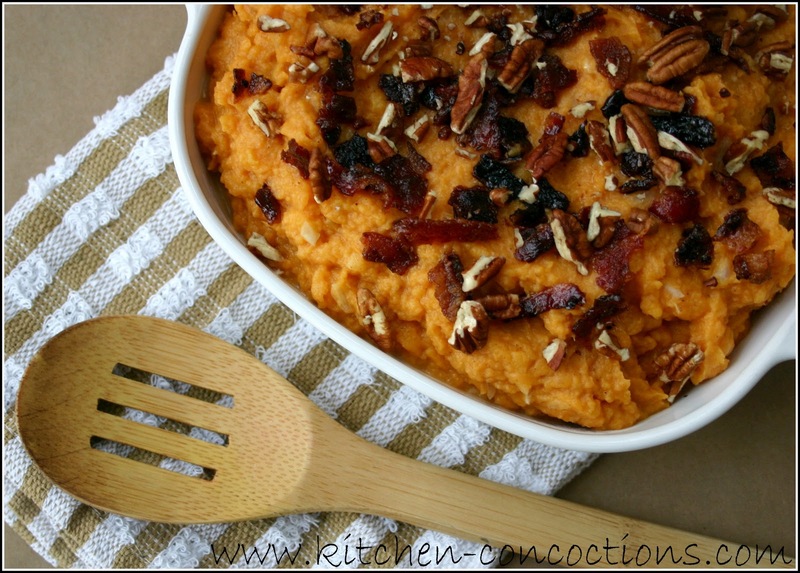 A blissful change to the traditional sweet potato casserole. Oh and if you ever wanted to know anything and everything about sweet potatoes check out this post. 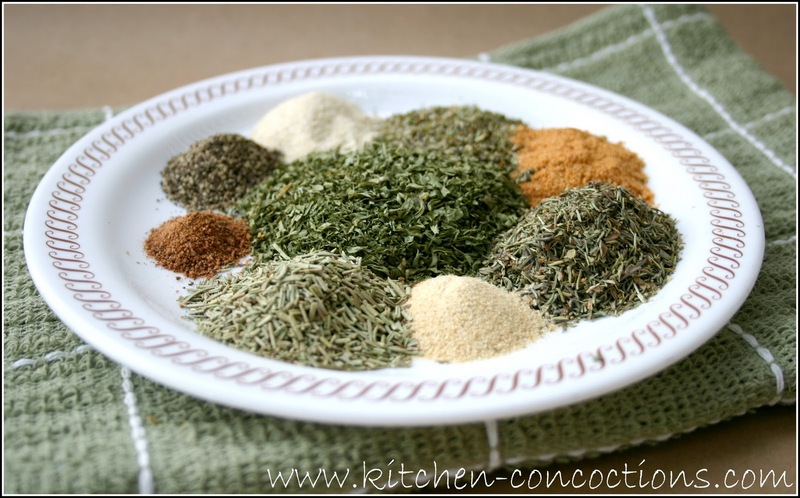 Poultry Seasoning: This spice is used it a ton of recipes this time of year but don’t waste your money on a bottled mix and make your own!